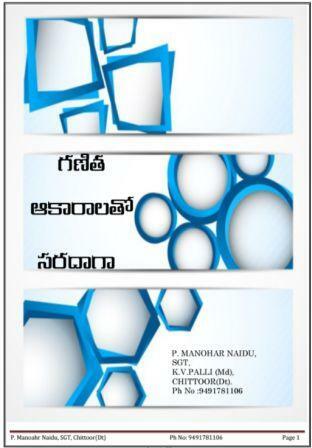 "Fun with Mathematical shapes" book is Prepared by P.Manohar Naidu sir, K.V.Palli (MD), Chittoor(DT). In this book he shows different types of Mathematical shapes made with colour papers. And also different types of tangrams.